Whole Foods Market on Friday opened the doors to its 500th location, the company's largest in the southeast. 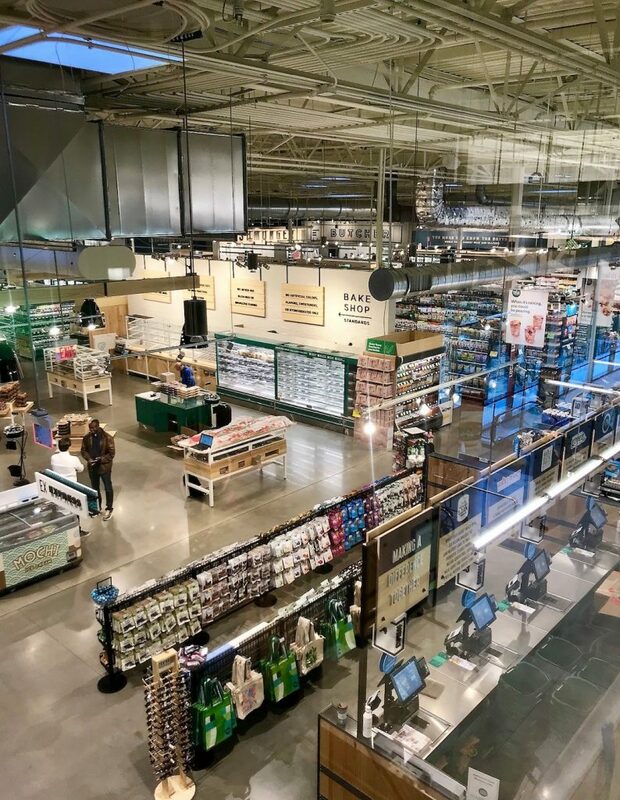 The new, 70,000-square-foot, multi-level flagship store, at 22 14th Street NW in Related Group’s Icon Midtown residential development, offers over 1,500 local items from 250 suppliers, many of which are new to Whole Foods Market. 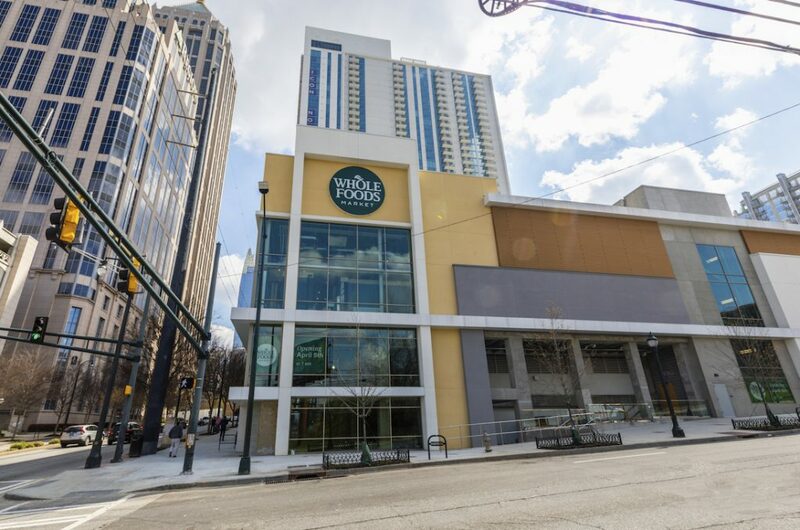 “Whole Foods Market Midtown will be a true gathering space for the community,” Bobby Turner, President of the South Region at Whole Foods Market, said in a press release Friday. 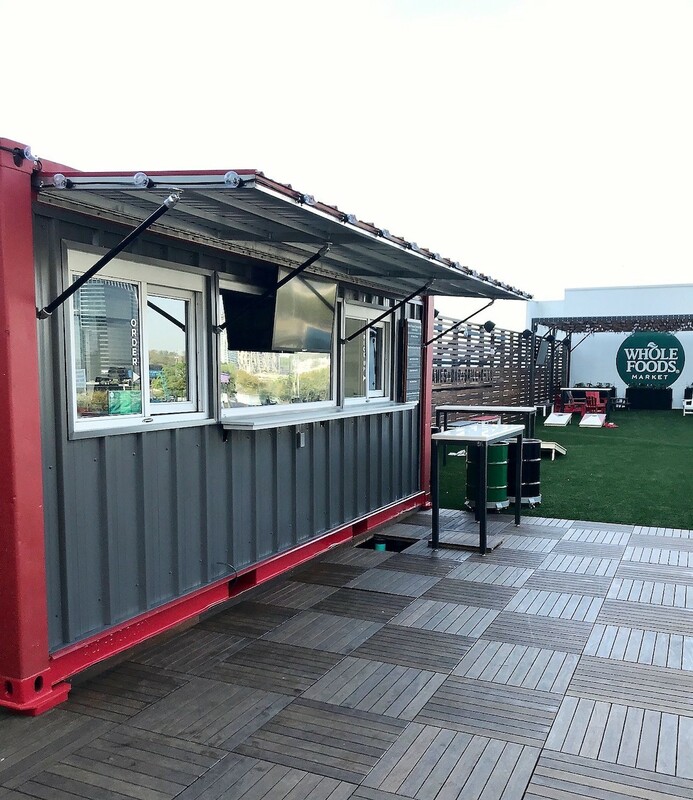 Canopy Court: this rooftop terrace offers skyline views, stadium seating, games, TVs, and a food truck serving an assortment of wines, local beers and a rotating food menu. Hours will vary seasonally. 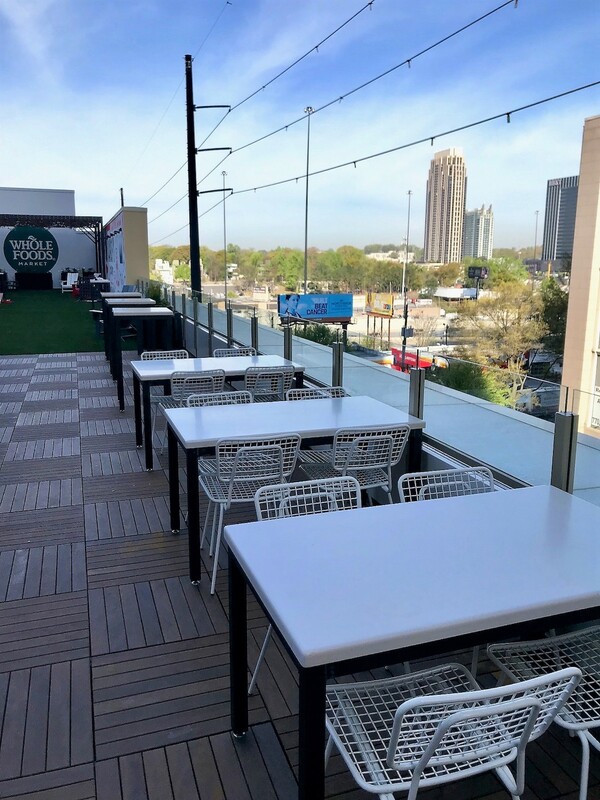 14th Street Bar: includes a private outdoor dining balcony overlooking 14th Street and West Peachtree Street with seating for 28 customers and indoor seating for 111 customers. There's also a screened in porch with heaters for colder days. Open from 7 a.m. – 10 p.m., daily. 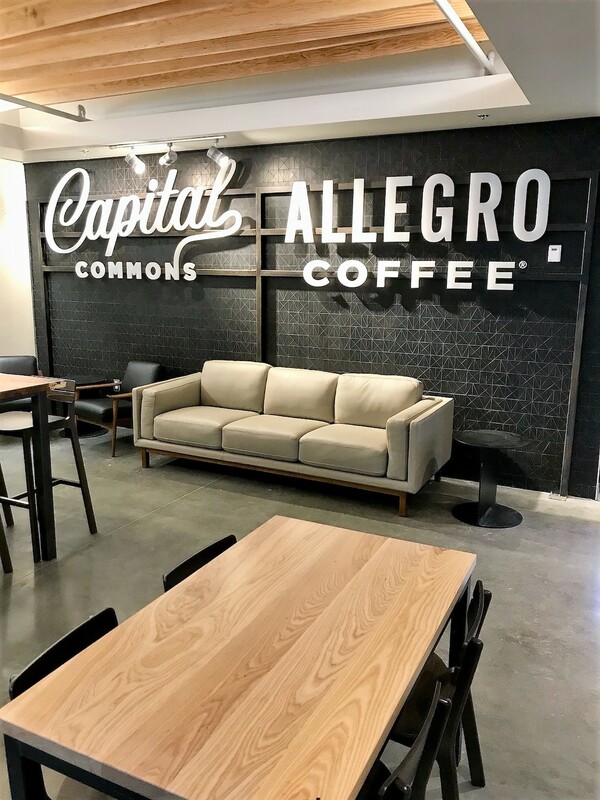 Capital Commons: a full-service Allegro coffee and espresso bar with wine, local beers, and baked goods featuring handmade biscuits from Callie’s Hot Little Biscuit. Capital Commons will have indoor seating for 60 customers. Open from 6 a.m. – 10 p.m., daily. Farm Burger: Part of the Friends of Whole Foods Market program, which partners with outside culinary and lifestyle brands to take up residence inside Whole Foods Market stores to bring shoppers innovative experiences, Farm Burger’s menu focuses on 100 percent locally sourced grass-fed, grass-finished beef burgers. 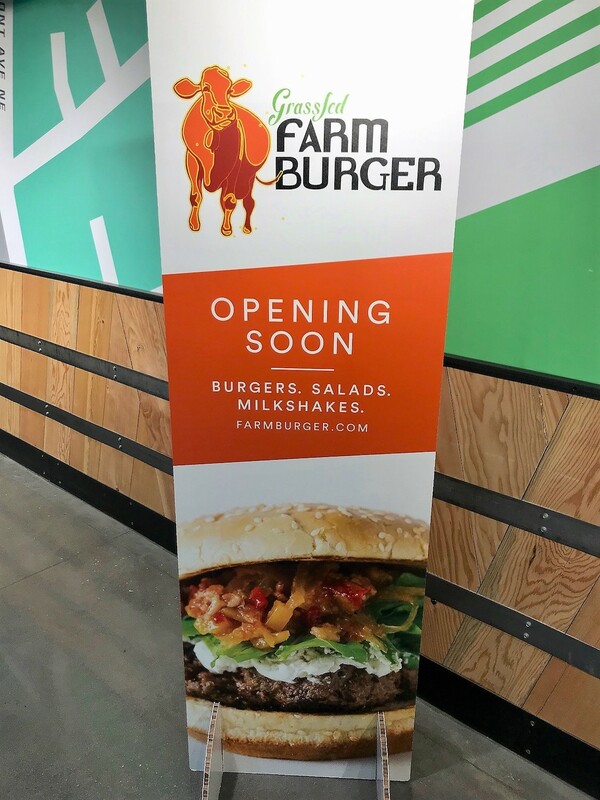 Coming in early summer 2019 with daily operating hours of 11 a.m. – 10 p.m., Farm Burger will have indoor seating for 86 customers and outdoor seating for 28 customers. Other store features include hot and cold prepared food bars, a selection of more than 100 beers and over 1,000 wines, a European-inspired floral shop, produce and beauty and body care departments. 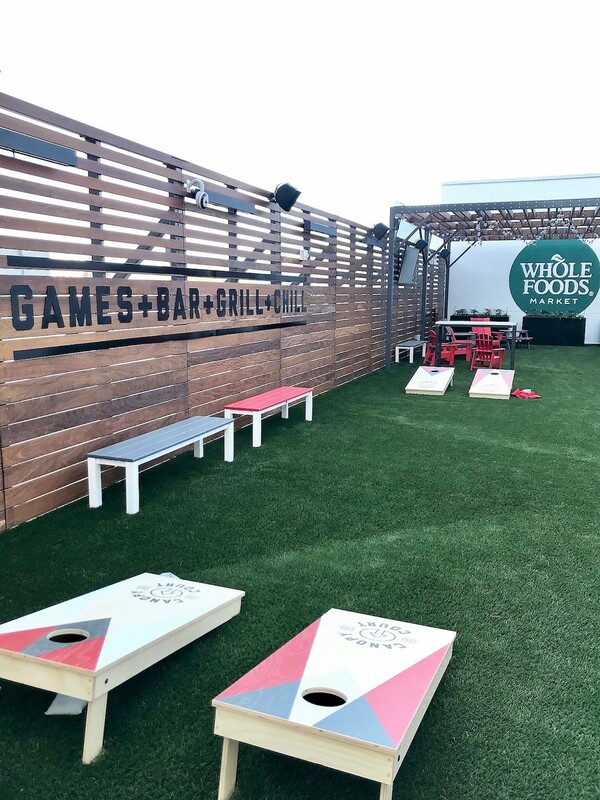 The new Whole Foods Market Midtown will also host weekly culinary, health and wellness, and social community events, including open mic nights for local musicians and comedians, "meet-the-maker" events with owners and artisans behind the products sold in-store, a monthly artist gallery night featuring local artists and their work, rooftop fitness including Zumba, yoga and cycling, as well as "The Chefs Table." string(26) "Whole Foods Market Midtown"
string(43) "650 Ponce De Leon Ave NE, Atlanta, GA 30308"